Free samples of some of my most popular math and literacy activities. These math and literacy stations are EASY PREP or NO PREP activities that are perfect for your kindergarten students. 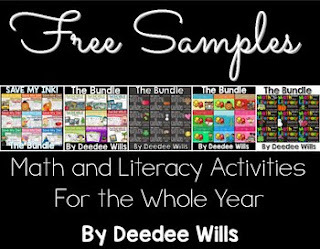 This unit has a free activity from each of the following bundles!